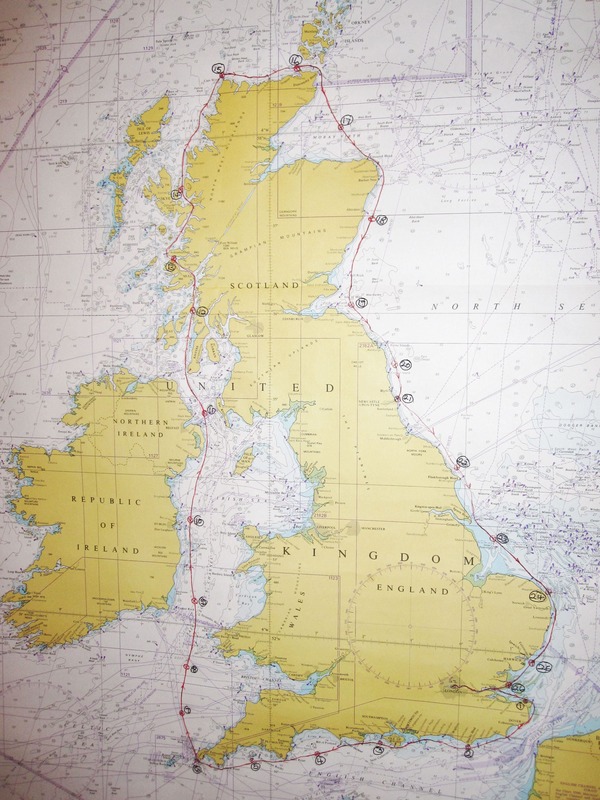 Do you have what it takes to complete a 2000 mile ultra coastal row around GB mainland non-stop and unassisted? We’ve started planning for GBRow 2020. This is the ultimate rowing adventure – could you be in it? THE WORLD’S TOUGHEST ROWING RACE. These extreme endurance row World Records added to the World Records set by the Seagals in 2010 and Will de Laszlo’s crew in 2005. The ISLANDERS, a 4 man crew, achieved a GUINNESS WORLD RECORD in June 2013 for “The Fastest Row around the British Mainland (men’s four)” in 26 days. SAVOIR FAIRE, a 2 man crew from Salcombe Devon, achieved a GUINNESS WORLD RECORD in July 2013 for “The fastest Row around the British Mainland (men’s pair)” in 41 days. The SEAGALS, a ladies 4 crew, achieved a GUINNESS WORLD RECORD in Aug 2010 for “The fastest Row around the British Mainland (ladies four)” in 51 days. ‘GB Row represents the ultimate rowing challenge for competitors. The treacherous British coastline demands the very best in team work and technical navigation ability. A bad decision can put a team on the rocks losing everything. A good decision can take a team miles ahead of the fleet but in the complex weather and currents of the UK coastal area positions can change on a daily basis. Only the best will make it to the finish. Only the extraordinary will win. Forget the Americas Cup, this is a modern day Viking challenge that will push men and women to breaking point both mentally and physically in their quest to be crowned the champion’. Could you be a World Record beater in the next GBRow? Contact us to be kept informed about the race. GB Row 2020 will start at Tower Bridge, London, on 1st June 2020 Keep watching this website for more news soon about GBRow – the only 2,000 miles non-stop endurance rowing race around Britain’s coast. GBRow is presented by GBRow Challenge Ltd. 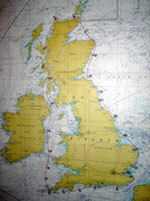 The route navigated by the record breaking 2005 team led by Will de Laszlo has been plotted in full detail on a maritime chart. A high resolution copy of this was one of the resources for teams entering GB Row 2013, so that rowers in the 2013 event would be armed with valuable information from the 2005 event to help them plan their own routes. We’ll also be using it during the race to see how thecrews are faring against the pace set by the World Record holders.